Bootleggers, gambling, ringleaders, arsonists, narcotics dealers and gang murders–a variety of characters flourished in the era known as Prohibition, and Tampa, Florida was where they battled for supremacy of the criminal underworld. The life and ruthless times of one of America's most powerful and feared mob bosses. With a criminal empire that stretched from the Gulf Coast throughout the Caribbean, Trafficante was linked to drug trafficking, plots to kill Fidel Castro, and the assassination of JFK. In Garden State Gangland, Scott M. Deitche sets the historical record straight by providing the first overall history of the mob in New Jersey, from the early turn of the century Black Hand gangs to the present, and looks at how influential they were was, not only to goings-on the Garden State but across the New York metro region and the country as a whole. Eddie Trascher was a gentleman gangster but he never wanted to be part of the mob. For 50 years, from the pre-Castro Havana casinos to Los Angeles, Trascher stole from mob-owned casinos, scammed gangsters, and was one of the top bookies in the country. He capped his career as a confidential informant for Florida law enforcement and was the source for getting inside the Trafficante Mafia family. In the course of the late 80's and into the 90's the Boston Mafia was in the midst of a full blown war for supremacy of the New England underworld. The government was synchronously engaged in their own silent war; playing one agency against the other while leaking information to their informants. 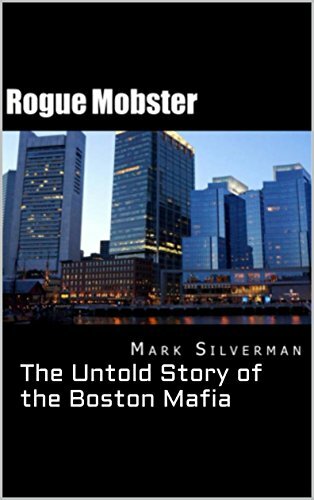 Silverman spares no details describing how he rose through the ranks of the Irish Winter Hill gang while working for both warring factions of the Italian Mafia concealing his identity. Packed full of up-to-date gangster information, this guide will satisfy even the most ardent true-crime enthusiasts." Catering to lovers of the well-written word and the well-mixed drink, Cocktail Noir is a lively look at the intertwining of alcohol and the underworld–represented by authors of crime both true and fictional and their glamorously disreputable characters, as well as by real life gangsters who built Prohibition-era empires on bootlegged booze.